Humanoid robots may enhance growth of musculoskeletal tissue grafts for tissue transplant applications. Over the past decade, exciting progress has been made in the development of humanoid robots. The significant potential future value of humanoids includes applications ranging from personal assistance to medicine and space exploration. In particular, musculoskeletal humanoids (such as Kenshiro and Eccerobot) were developed to interact with humans in a safer and more natural way (1, 2). 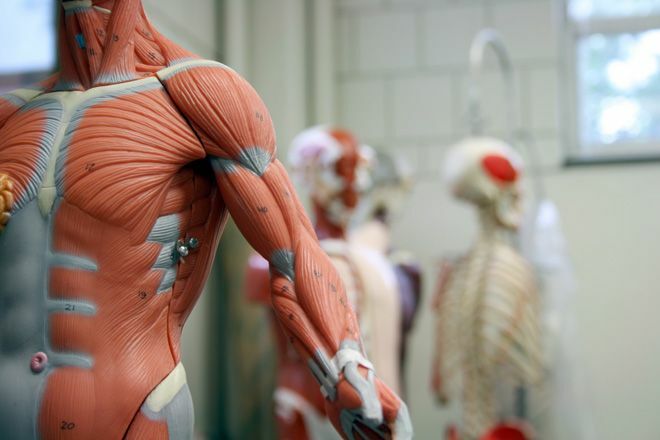 They aim to closely replicate the detailed anatomy of the human musculoskeletal system including muscles, tendons, and bones. With their structures activated by artificial muscles, musculoskeletal humanoids have the ability to mimic more accurately the multiple degrees of freedom and the normal range of forces observed in human joints. As a result, it is not surprising that they offer new opportunities in science and medicine. Here, we suggest that musculoskeletal robots may assist in the growth of musculoskeletal tissue grafts for tissue transplant applications.